In the last years of the 19th century, Trudy leaves her comfortable, upper-middle class life in Wisconsin and the man everyone always knew she would marry to strike out for California, newly married to her intended’s cousin Oskar. Together, Trudy and Oskar find themselves working at a light house in Point Lucia, far away from everything they have ever known. 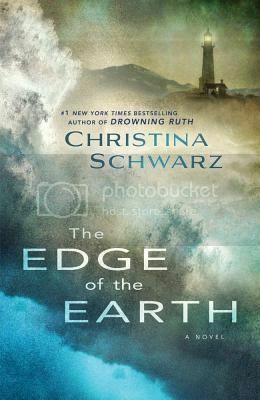 Christina Schwarz’s The Edge of the Earth reminded me strongly of Tracy Chevalier’s Remarkable Creatures. Part of the comparison is the focus on women of science. Chevalier’s main characters were dinosaur hunters and Trudy finds herself drawn to studying the creatures in the pools at the edge of the sea. The rest of the comparison has to do with the beautifully atmospheric nature of both works. The Edge of the Earth is historical fiction at its finest. Highly recommended. This sounds beautiful, and I can’t help but love the cover!